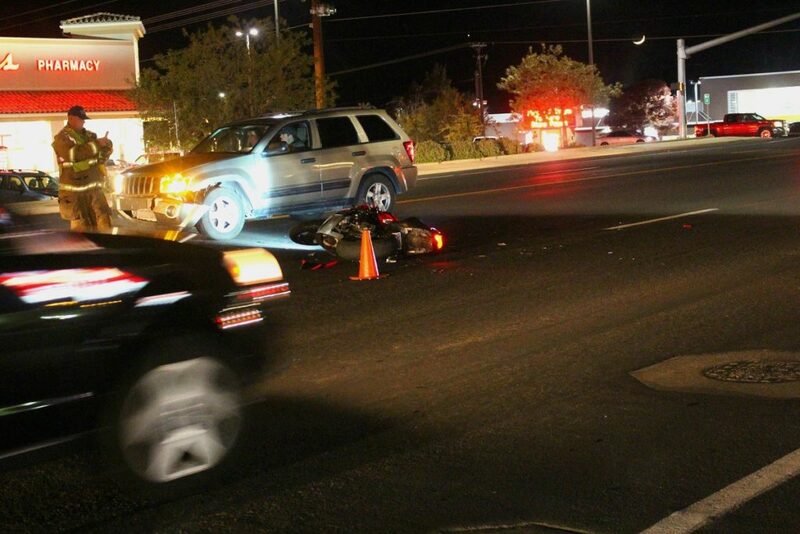 ST. GEORGE — A motorcycle rider fled after he crashed into a vehicle on West Sunset Boulevard Friday evening, leaving the damaged motorcycle in the roadway and several witnesses at the scene. Just after 7:30 p.m. a crash was reported on West Sunset Boulevard just east of North Dixie Downs Road involving a gold Jeep Cherokee and a Red Honda motorcycle, St. George Police Lt. Rich Triplett said. As first responders arrived they found the Honda in the median lying on its side with pieces of the bike scattered around it, and the Jeep a few feet from the the downed motorcycle with a damaged driver’s side bumper. The two occupants inside the Jeep were uninjured, however the motorcycle rider was missing from the scene when officers arrived, Triplett said. The man driving the Jeep told officers that he pulled out of the parking lot at Maverick into the median on Sunset and was waiting to turn left intent on heading east on West Sunset Boulevard. 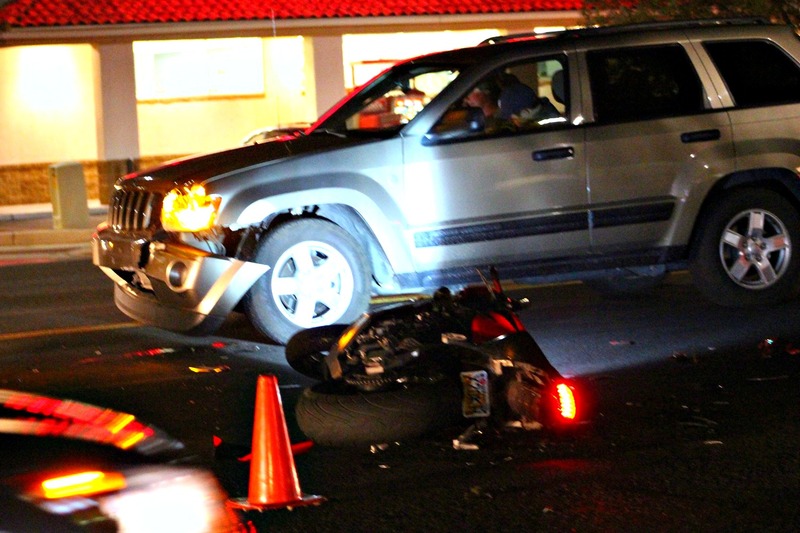 As the driver waited in the median for eastbound traffic to clear, a red motorcycle heading west veered to the left and into the median, striking the front driver’s side of the Jeep. 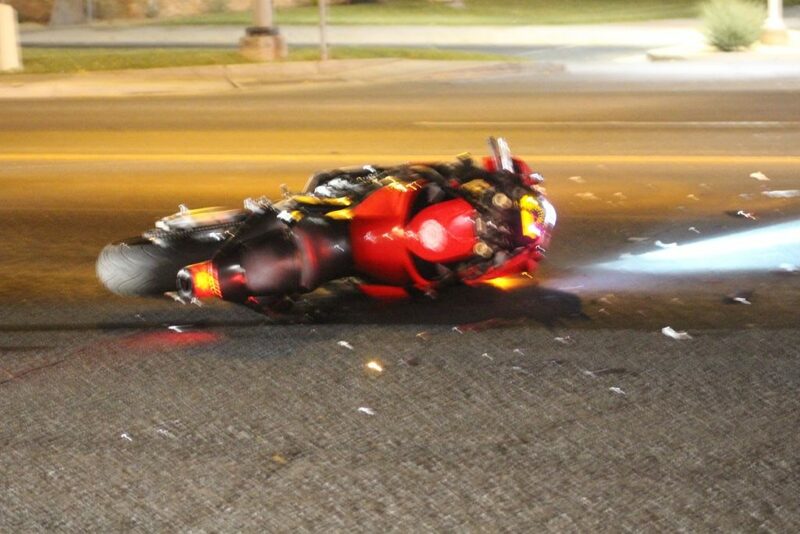 After the crash, the motorcycle rider was helped up off the ground by two witnesses. Once the man was back on his feet he ran away, leaving the damaged Honda lying in the middle of the roadway, near the median, Triplett said. The rider was then seen running into the parking lot of Wendy’s fast food restaurant located at 1838 W. Sunset Blvd., according to witness statements at the scene. Officers are attempting to locate the man riding the motorcycle. 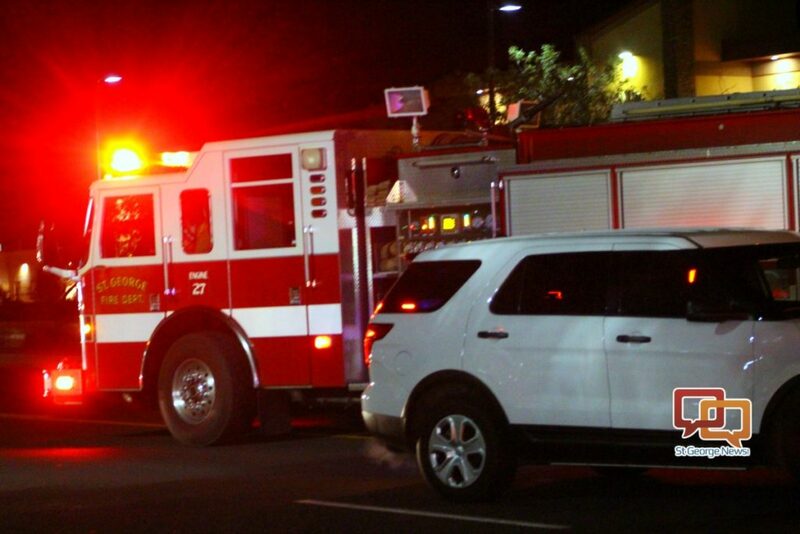 No injuries were reported to officers at the time of this report. The Jeep sustained frontal damage to the bumper area and was driven from the area, while the Honda was towed from the scene. Just your typical St George traffic nothing new here. I hope the motorcycle is OK !